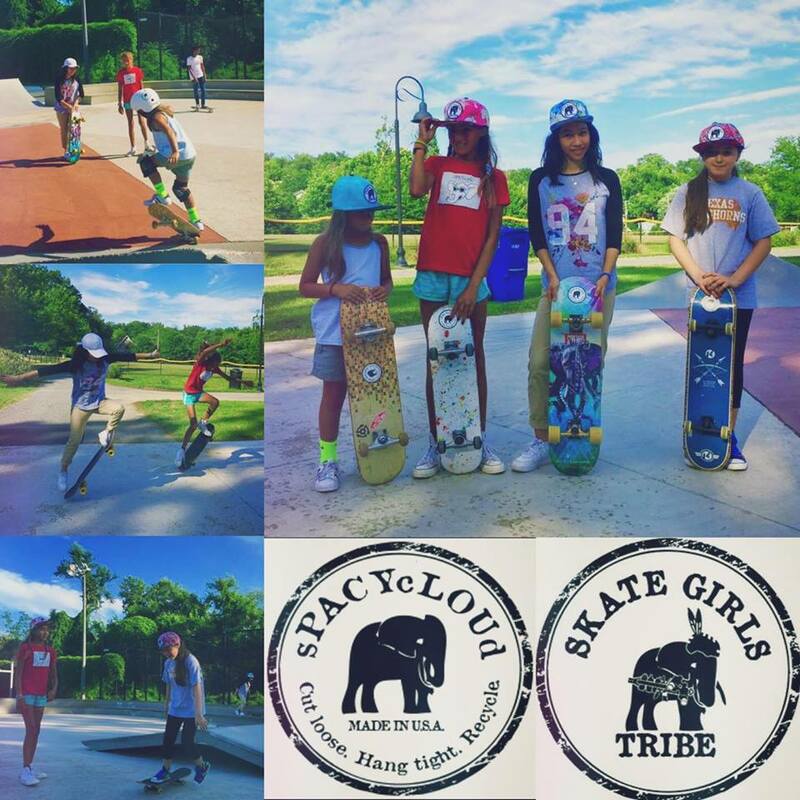 As a skater girl, my very first skate sesh with sPACYcLOUd at Palisades, Washington DC was an eye opener. My experience there helped me understand the true meaning of “girl power”. There are so many girls in our community who want to try out skateboarding, but only some would actually pick up a skateboard, and only a very few would dare to go to a skatepark and ride around. Especially when a girl is a beginner skater, being the only female at a skatepark can be quite uncomfortable. Seeing all the guys doing tricks on ramps and rails can sometimes be so intimidating, that we would just end up sitting on the sidelines, wondering if we could ever be as good as them. Meeting some of the members of Skate Girls Tribe and getting to be a part of their team made me realize that skateboarding is not just about being good at the sport. It is about being good friends with those who skate. sPACYcLOUd helped me make friends with other skater girls. We felt more comfortable, encouraged, and motivated. In fact, it was actually the very first time I’ve seen more girls than guys at the park. We helped each other learn new tricks and challenged each others’ skills. And when we did that, we showed Girl Power!